A large number of Americans rely on Social Security to sustain them in their old age. However, some of them are finding they are receiving smaller checks than they expected. For instance, a new report from the Government Accountability Office showed that approximately 114,000 Social Security beneficiaries above the age of 50 are losing an average of $140 a month because of unpaid student loan debt. It is possible for your Social Security disability benefit claim application to be lost among the millions of Social Security disability claims filed every day. 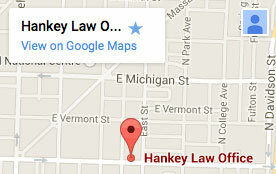 It is important to hire the legal representation of our attorneys at the Hankey Law Office so you can be sure there will be a legal professional who will follow up on your application. Call our Indianapolis offices today at (317) 634-8565 or (800) 520-3633.